Doing this column for a few years at this point, it’s still just as exciting to find the ‘next big thing’ while randomly scrolling through different genres and new releases at Bandcamp. It goes back to the idea of rifling through the cd racks and seeing the cover art and band name, and just deciding to go for it based upon little knowledge. Consider the 15 acts below to be the potential cream of the crop as they continue to move forward with their music. A 3-song EP to hit the ground running, Cerebra is full of dark grooves and catchy gothic melodies. It’s an interesting take on what is usually a more melodic and light genre. It gives them some added substance and depth, which should allow Project Renegade to further expand as they progress. An easy thumbs up if you ever wanted Lacuna Coil to come off with a bit more grit. 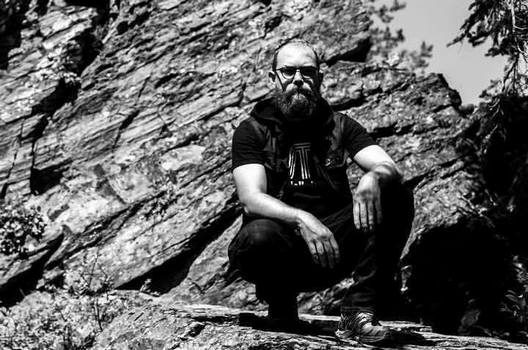 One of those extreme metal acts that can seemingly pander to a wide breadth of metal fans, you’ll find an impressive variety of material on Overcoming Reality. It’s super-technical in its expression of death metal, but never comes across as too overbearing due to some impressive synth work, varied vocals, and doses of progressive/melodic guitar play and groove. Truly expansive stuff. Quickly following up an impressive demo, Sentient Ignition are just flat out killer modern death metal. They can cross brutal and melodic moments, toss in progressive noodlings (without going too far), and match it all with strong vocals. Lengthy and expansive songs (with no filler) give them the depth necessary for a long-term listen, while you are initially drawn in by the catchier moments. One of those ‘dream team’ type albums, Nino Helfrich snagged Bjorn Strid, Chris Clancy, and Christoph Wieczorek to implement vocals to his second release. But more impressive than the vocal talent is that of the music itself, which can stand on its own from an instrumental standpoint. Punchy modern melodic death metal that can pack a more emotive punch when necessary. Release the Long Ships has been a constant staple since finding their emotive instrumental post-metal on Bandcamp with the album Wilderness. Vvilderness is the next logical step, including vocals and more blackened influences. Yet it’s still just as poignant and compelling, in fact expanding and furthering the contrasts have made it quite possibly even stronger. An album that’s easy to lose yourself in. In a year when many tech death releases felt like all style and no substance, Dunes comes along and reminds us of how the genre can shine. Indigenous instruments are gleefully interwoven within the complex riffing, and thoughtful lyrical content bolsters the appeal. Most importantly, despite the intricacy of the music it never overwhelms. A fine balance of technical structure with progressive leanings. Blind Revision returns with a second EP that melds progressive riffs, metallic groove, and soaring melodic vocals. A thought out concept yields mighty returns, tying ‘demons’ to a particular lobe of the brain, a welcome addition to the progressive noodlings and shredding solos that will initially draw you in. The combination of melody and complexity is one that provides a freshness that should bring them far. Melodic metal that still pays full attention to the riffs, Dialith finds themselves already branching off from the pack with their first release. While Krista Sion’s vocals do shine quite brightly, the focus on strong melodies and memorable leads ensures that the band should be able to reach out into the melodic death metal fanbase as well as the symphonic one. There’s something special going on here for sure. Taking a little bit of everything and pulling it under the melodic microscope (including djent, symphonic, progressive, and electronic elements), you can’t say that At Dawn’s Edge really sound like anyone else. It’s an exciting sound to dive into, with an excellent combination of serene vocals and groovy, catchy rhythms to back it up. All of which makes Through Glass Eyes a real release to cherish. Those who think that Americans can’t pull off the same level of zest with our melodic death metal haven’t heard Deadtide. Combining the best of the old Gothenburg approach with more modern tactics, it’s a glorious mix of shining melodies, aggressive riffing, and clean/harsh vocals. A must if you enjoy melodeath in the slightest. Melodic death metal and gloomy black metal with a progressive filter? A combination that one might not expect, but it’s also one that works wonders for Vintersea. A crisp sound accompanies it all, with just the right level of grit to balance all sides of the equation. Much to enjoy and return to – chunky grooves as well as atmospheric bliss. Well-rounded and forward thinking stuff. Technical death metal with a wildly melodic streak is one way to sum up Tethys. Implementing the tech needs that you crave, while providing some needed grooves, hooks, and glorious leads to keep you hooked from start to finish. Visceral yet addictive stuff, Tethys have a put together an impressive formula that’s bound to win over many in the extreme circles. The solo work of Josh Dummer, Buried Realm hits all of the melodic death sweet spots if you dig acts like Scar Symmetry. It’s heavy, it’s groovy, it shreds, and it can still be as catchy as all get-out. Adding the icing to the cake is a veritable who’s who in melodic death metal (and beyond) who provide guest spots all over the album. It all adds up to a thrilling melodeath experience, and one that’s just as rooted in intricate proggy design as it is with epic melodies. Truly an underrated gem if there ever was one, I takes elements from death metal, traditional metal, and melodeath (to mention a few) and blends it all together into a unique form. They can bring the melody, they can bring the aggression, and dole it out in any necessary increment. The transitions are impeccable. There’s so much going on here to love with each listen. This band should be making a much bigger splash within the scene. Check them out! An album that came out of nowhere and simply stunned with its progressive glory, The Innumerable Stars is an emotive yet cerebral trip. Taking a sound similar to bands like Leprous and bringing it towards more extreme waters (like Dark Tranquillity or Enslaved), the merger of familiar elements into unique territory is exquisite. A clear labor of love (this is a one-man act mind you), Naeramarth shines brighter than many label-backed and highly publicized releases this year. A real diamond in the rough and just a sheer joy to listen to.